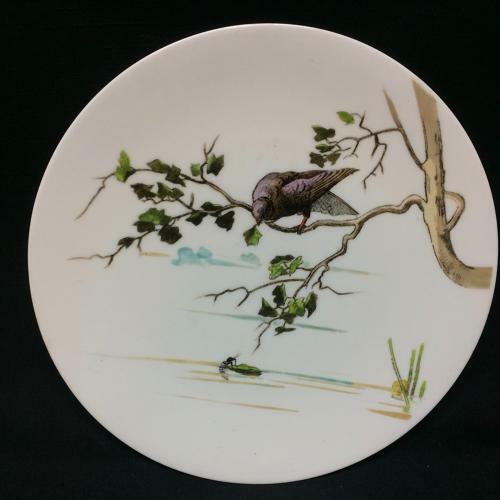 This is a superb and quite scare hand painted plate registered around 1880. The plate measures 9 " in diameter. The plate is finely potted porcelain. The decoration is based on a woodcut from the highly coveted Nature series made by Brown Westhead and Moore, most commonly found on architectural tiles. It is beautifully decorated in rich earthy tones. The plate is in great condition. The images are clear and crisp with intricate detail and whimsical styling. The plate was made with great attention to detail.